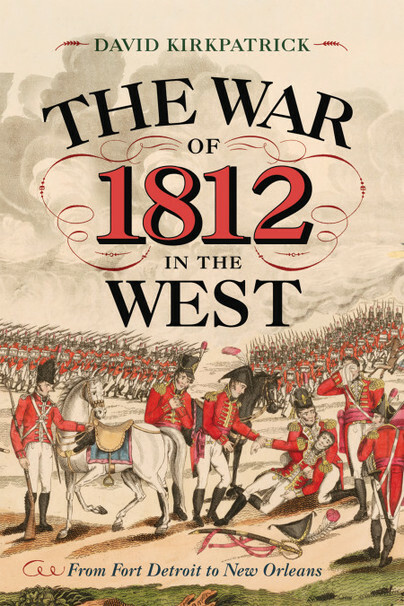 You'll be £20.00 closer to your next £10.00 credit when you purchase The War of 1812 in the West. What's this? The spring of 1812 found the young American republic on edge. The British Navy was impressing American seamen with impunity at an alarming rate while vicious attacks on frontier settlements by American Indians armed with British weapons had left a trail of fear and outrage. As calls for a military response increased, Kentucky, the first state west of the Appalachians, urged that only by defeating the British could the nation achieve security. The very thought conjured up embellished memories of the American Revolution, and once war was declared, many soldiers believed that the “Spirit of 76” would lead them to victory. But the conflict quickly transformed from a patriotic parade to a desperate attempt to survive against a major military power. While the War of 1812 is known mostly for later events, including the burning of Washington and the siege of Fort McHenry, much of the first two years of the war was fought in the west, with the British Army and their Indian allies nearly overrunning the Old Northwest and threatening the borders of the original colonies. In The War of 1812 in the West: From Fort Detroit to New Orleans, David Kirkpatrick chronicles the near catastrophic loss of the Ohio, Indiana, and Illinois Territories, the bitter fight against both Tecumseh’s Confederation and the Creek Nation, and the slow recovery and ultimate victory of American forces – a large portion of which was supplied by Kentucky – from Canada to the Gulf of Mexico. Battles such as River Raisin, Thames River, Fort Meigs, and New Orleans are placed in context to show how they secured America’s frontier and opened territory to the west to new settlement following the war. DAVID KIRKPATRICK currently serves as the Genealogy/ Reference Librarian at Mercer County (Kentucky) Public Library and has spent more than a decade working as an archivist for the Kentucky Department for Libraries and Archives. He has a BA in history from the University of Louisville and an MA in history from Western Kentucky University.